If you usually watch movies, play games, and listen to music through your computer, the sound issue will be extremely important. Some prefer to use headphones or earphones where they can listen better and more directly. But if you want to have a unique listening experience on your computer, you should activate the new Windows Sonic feature in Windows 10 as it is specifically designed for those who love music and movies and listen to the minute details in a fantastic way. In this article we will learn about this property closely and also how to activate it. Is a new feature that started to appear in Windows 10 beginning with version 1703, which is called "Creators Update". The feature enhances the volume and provides a 3D audio experience. Whether your speaker supports surround sound technology or not, the property will work without any problems. But at least the headset or earpiece should be of a high standard, as activating the property with cheap and unknown headphones may not make a big difference in the volume and you will not feel the effect of the property well. If you do not know what surround sound technology is, imagine with me that you are watching a movie or playing a game and hearing the sound of the aircraft not only flying around you, but also flying directly over you. In traditional sound you can hear the passage of objects around you. But with the spatial sound, you can hear it pass directly over you or under you. The task of this technique is to make you feel the voices and not just hear them. But while some games and movies support surround sound, many of them do not use this new technique. 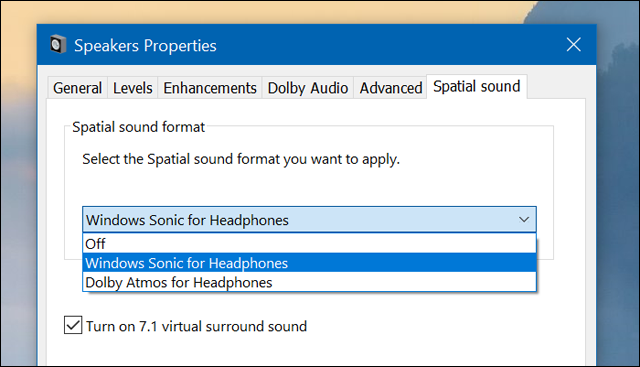 This is why Windows Sonic is able to adjust the conventional volume and make it surround sound to provide a unique audio experience. Here's how to activate this feature. You can activate Windows Sonic with sound settings in Windows 10, but first make sure you install the latest version of Windows 10 on your device. Second, you must wear your own headphone, headphone or earphone. To activate the feature, you will open the settings by pressing the Windows + i button together to open the Settings window. From there, you will go to the System section and select from the left side "Sound" and click on the "Device properties" option as indicated in the picture above. Then in the window that will appear I go to the Spatial sound section. 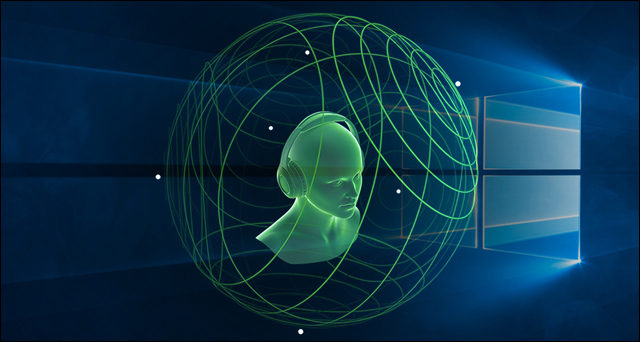 You will then click on the first option in the Special Sound Format settings and then select Windows Sonic for Headphones from the list and then mark the sound next to the Turn on 7.1 virtual surround sound property and press Ok to save the changes. You can now watch your favorite movie, play a game or even play video from YouTube videos that provide a three-dimensional sound, where you should feel a difference in volume. For the last option, "Dolby Atmos For Headphones" is designed to support Dolby speakers and home theater systems.